Kilometers of paved roads, a sufficient railing system and dozens of airports across the territory make navigating across Iran fairly easy. Add that to the inexpensive fares and it’s Bingo! If you wish to visit a number of cities or spend more time in each destination and you’re lacking time, we recommend flying. Due to the relative vastness of Iran, long distances between cities, this mode of transportation can be your first option to travel across the country. Although the planes currently functioning in Iranian airlines are rather outdated due to years of sanctions and service quality should not be compared with that of world leading airlines, you can reliably use the services of Iran National Airline (IranAir) and other private airlines such as Mahan Air, Kish Air and Sky. Safety, speed and value for money are some of the advantages, nevertheless delays are not uncommon! Flights from Tehran to all provincial capitals are available. Other flights between provincial capitals also run few times a week (for example, between Shiraz and Isfahan). You can purchase tickets through travel agencies however online booking is not currently an option. 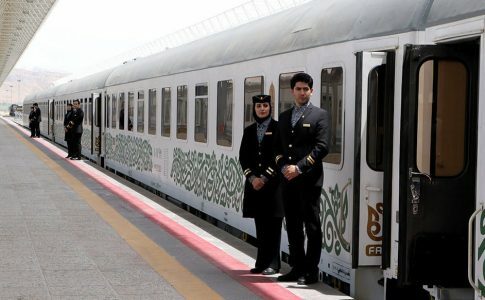 Iranian rail system is efficient, affordable, safe and relatively quick. Although a few regions of the country are not covered, many of the major cities are connected through railways. Compared to intercity buses, trains are more comfortable and safe. Beds are available in most types of the trains. To book tickets, you can go to the train station or a travel agency. Online booking is possible too. During holidays, especially Nowruz (New Year), it would be better to book a few weeks in advance. Iran has a well-developed bus transportation system. 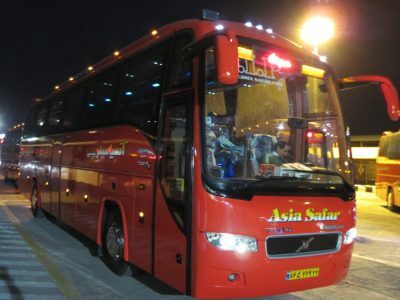 This system is very extensive and you can use the bus to travel to almost all cities. Generally, In terms of quality, buses can be placed in two classes: Standard and VIP. Standard buses have an acceptable quality, but if you desire more comfort, VIP busses are a better option. In remote areas or through short journeys substandard buses or even minibuses are more likely to be used. You can purchase your ticket in the bus station. To book a seat you can also call the transport companies (Ta’avoni) in the station. Online booking is also possible for major cities https://payaneh.ir/fa/, Persian version only). However, you can almost always go to the bus station an hour before departure and get your ticket. 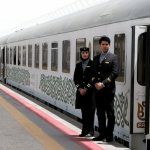 Remember that in Nowruz holidays you have to get your ticket in advance. Though the bus system is almost always available and is very cheap, it has some major disadvantages: Due to the speed limits bus travel speed is low, and unfortunately road accidents ratio is high in Iran. That is why, use of airplanes and trains are usually recommended. Intercity traveling by taxi cabs has some advantages. They mainly stop in bus stations and train stations or major city squares and wait for travelers who are in a rush and want to reach their destination faster. These cabs are usually cheap but you'll need to wait for them to be full for departure (3 passengers at most, unless you pay a higher rate for private use). Although Iran has over 2,400 km coastline on the north and south of the country, the entree and transportation of tourists through the sea is very limited. You can use the public or private transportation systems for intra-city transport (important only in big cities). 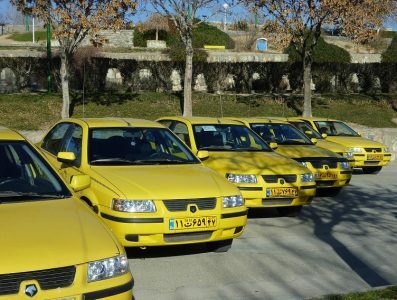 Tehran's public transportation system includes buses, subway and taxicab. Bus system is efficient and covers almost all parts of the city. 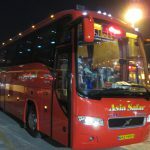 Buses are also divided into two categories: ordinary and BRT (Bus Rapid Transportation). BRT buses use exclusive lanes and they do not get stuck in traffic. They cover major south-north and west-east routes of the city, but they are usually crowded during rush hours. You can purchase electronic tickets (also usable for subway). Even though the subway is crowded at peak hours, it is still advisable in the rush hours when Tehran's traffic goes way too far! You can use electronic tickets (also usable for buses) for the subway or you can get one-way trip or two-way trip paper tickets at any time in the subway stations. Subway is also cheap. Taxi system covers almost the entire city. You can go to the taxi stops and share the taxi with three other passengers or hire a private one. Naturally, in the latter case you have to pay more. The cost depends on your destination, but it is low in general. Few taxicabs use taxi-meters and taxi fares are based on rates approved by Taxi Management Organization. It is not recommended to use the taxi in rush hours. You can rent cars and drivers from car rental agencies. The cost varies depending on the vehicle type and duration. In cities where the subway system does not exist the use of taxi cabs and buses are common, cheap and useful.